What hours and tools should I use. When to trade Pivot points? What is the best time frame. How to trade Pivots. how to use the camarilla pivot? What is the main strategy. Can you suggest any? Thank you. Submitted by Trader on Tue, 05/19/2009 - 02:57. Can anyone help me locate a website that offers 20 years worth of Forex historical data on the major pairs? I've found websites that give data for the UK 00:00 gmt to 00:00 gmt open/close and the NY 17:00 est to 17:00 est open/close. What I'm looking for is site that has historical data that has a NY 00:00 est to 00:00 est open close. Submitted by Forex Tutor on Sun, 05/24/2009 - 14:30. Submitted by Emmy on Thu, 08/06/2009 - 12:11. I do have auto pivot soft ware in my meta4 which entails daily,weekly and monthly pivot point lines and both resistance and support .Please how do i use them to trade.Hear back from you soonest. Submitted by Forex Tutor on Thu, 08/06/2009 - 02:13. Submitted by SAM on Mon, 09/28/2009 - 15:08. I KNW HW TO CALCULATE IT, BUT PLEASE DEFINE THE TERM 'PIVOT POINT', SAM FROM ENUGU,NIGERIA. 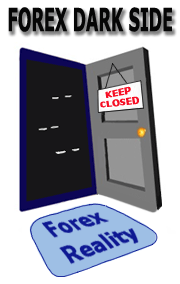 Submitted by Forex Tutor on Sat, 11/07/2009 - 13:10. Pivot Point - a key point, a turning point - a level at which market will "think" whether it's time to turn or continue through. Submitted by Virgil on Thu, 12/16/2010 - 00:20. Submitted by Beginner Trader on Fri, 11/25/2011 - 13:35.
please how do i calculate pivot point for the new day using midnight gmt to midnight gmt time.